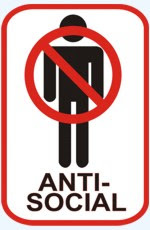 Antisocial personality disorder is a mental health condition in which a person has a long-term pattern of manipulating, exploiting, or violating the rights of others. This behaviour is often criminal. 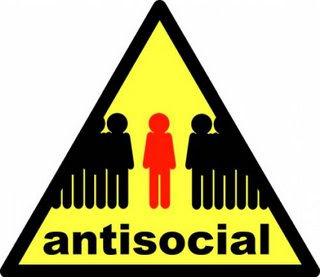 The causes of antisocial personality disorder are unknown. Genetic factors and child abuse are believed to contribute to the development of this condition. People with an antisocial or alcoholic parent are at increased risk. Far more men than women are affected. The condition is common in people who are in prison. Fire-setting and cruelty to animals during childhood are linked to the development of antisocial personality. Some people believe that psychopathic personality (psychopaths) is the same disorder. Others believe that psychopathic personality is a similar but more severe disorder. First, people with these disorders usually do not seek treatment on their own. They tend to seek help once their behavior has caused severe problems in their relationships or work, or when they are diagnosed with another psychiatric problem, such as a mood or substance abuse disorder. In some cases, medications can be a useful addition to therapy. Although personality disorders take time to treat, there is increasing evidence that certain forms of Talk therapy, Psychological Counseling, Psychotherapy can help many people.